Virus Spyware Removal | Adams Network Inc. 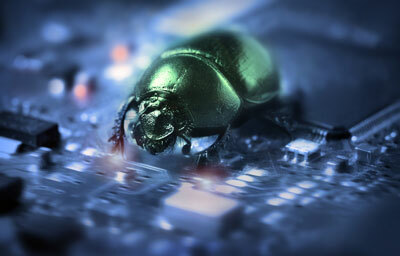 Virus, spyware, rootkits, and other types of malware plague PC’s. Regardless of how great your virus protection is, or how much you pay for it, it seems like your computer gets infected at least once a year or more. Why is that? The fact is, no virus or spyware protection is perfect. Someone always creates something that can beat the virus protection – some circumvent it completely. Hijackers are the new ‘virus’. They infect millions of computers daily and are usually very difficult to remove without the help of specialized software or an IT professional. To minimize infection rate, always update your web browser regularly and use modern secure web browsers such as Firefox or Google Chrome. They are inherently more secure than their predecessors and proper use of them will keep 90% of malware out of your PC. That piece of advice is on the house, but if your computers are infected with viruses or malware that you or your virus protection have been unsuccessful in removing, please give us a call via the number at the top of the page. Our expert technicians have been removing all types of viruses, spyware, adware, hijackers, and rootkits for years.